To fulfill this vision, Workshop and HOK reached out across the campus through a variety of creative workshops and interactive sessions. SERF’s urban surroundings afford a wealth of design opportunities. It will be a vital campus connector for nearby residence halls and Gordon Dining & Event Center and the Kohl Center and LaBahn Arena. A bold, glassy façade along Dayton Street will provide ample daylight and showcase the activity within, including a new multi-level running track. 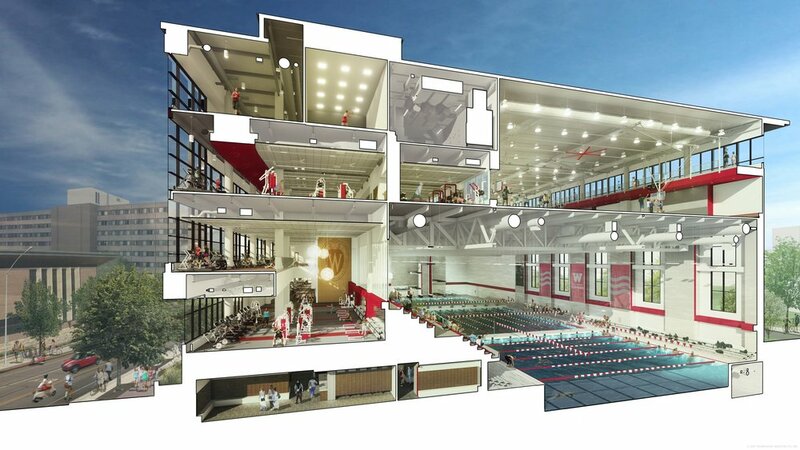 The building design creatively stacks gymnasium space over an Olympic-size swimming pool and multifunctional fitness areas, and will triple the current amount of cardio and strength training space. 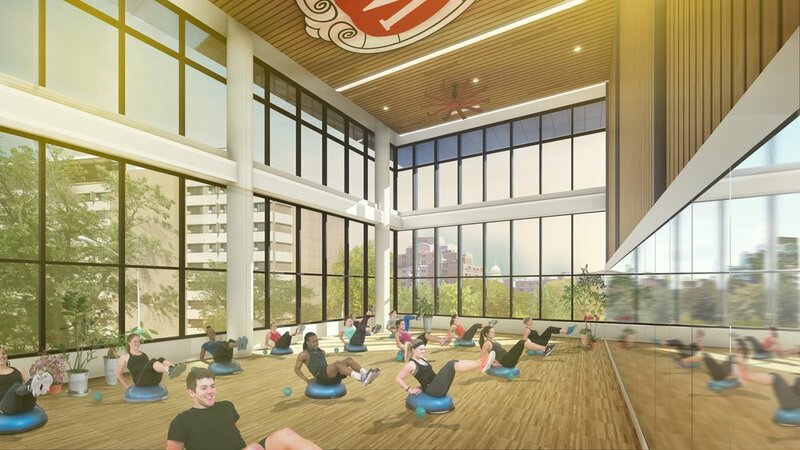 Its state-of-the-art training facilities will provide Badger teams, intramural athletes, and all Badgers seeking to improve their fitness and well-being with a winning edge.